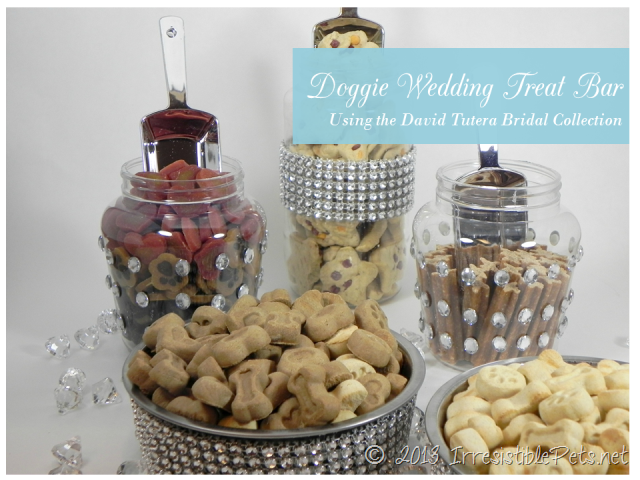 Youve seen desert bars at weddings but have you ever seen a doggie treat bar?! Including pets in your wedding is becoming increasingly popular! 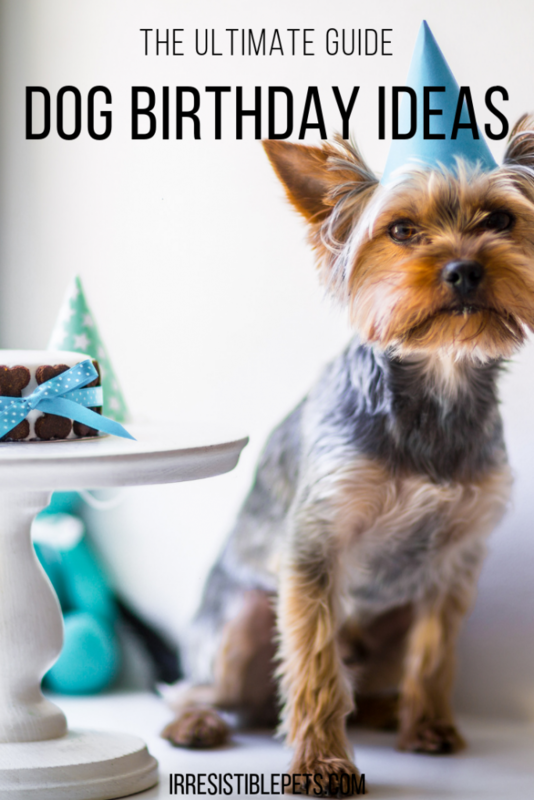 In 2013, Chuy and I plan on sharing more pet wedding ideas and inspiration for you! 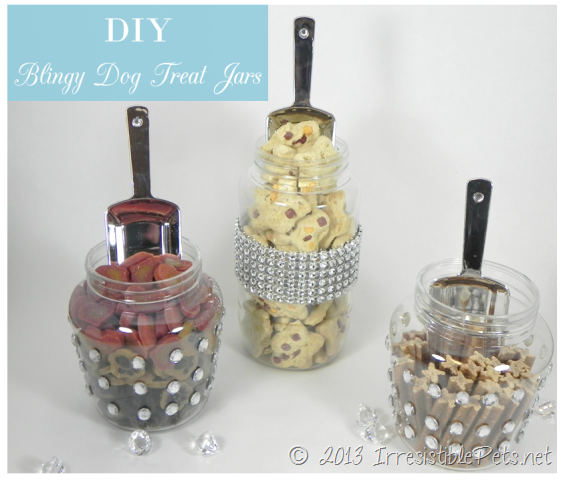 For this DIY idea, I created bowls and jars that you can use to create a doggie dessert bar, with a little bling of course! 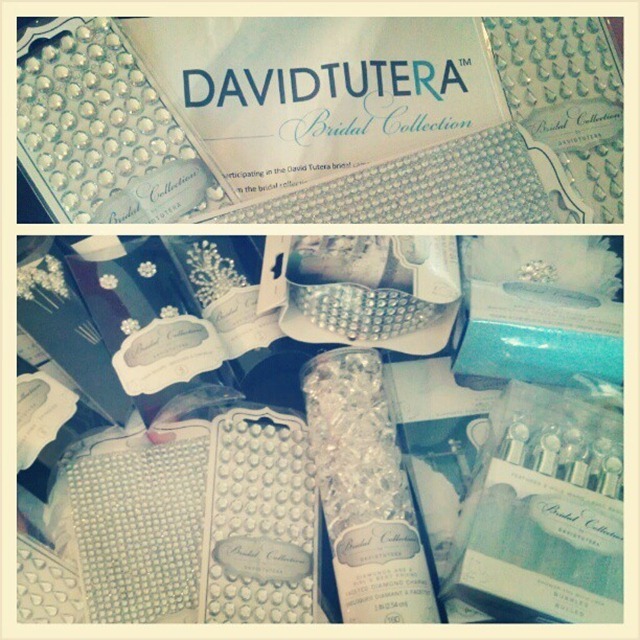 I was sent these irresistible goodies from David Tutera Bridal . .what else would you expect from him?! It makes me want to get married all over again! 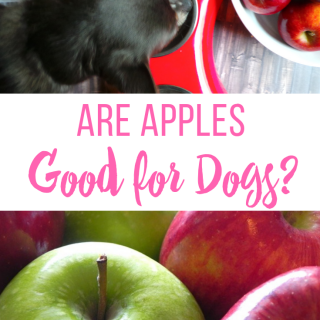 Make sure you thoroughly wash the dog bowls as they will be in direct contact with pet food. 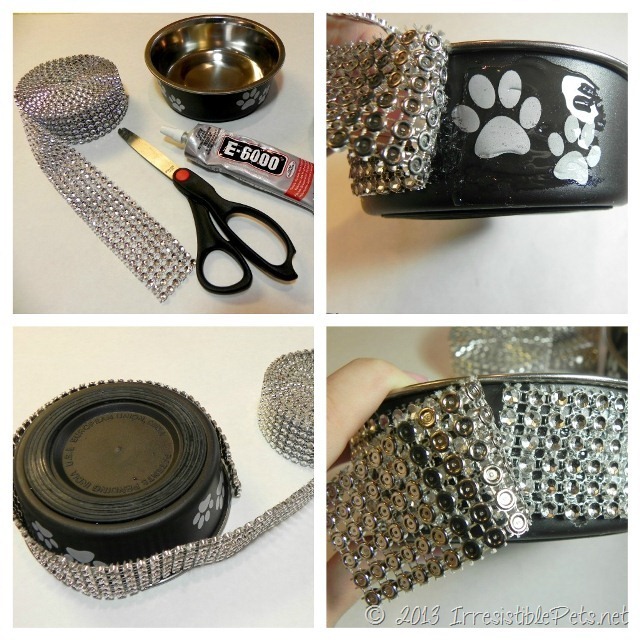 Apply glue to the dog bowl and glue the bling wrap in place. Once you have the bowl covered, cut the wrap. Wipe up any excess glue. This is very important as these bowls are going to be used for pet food. 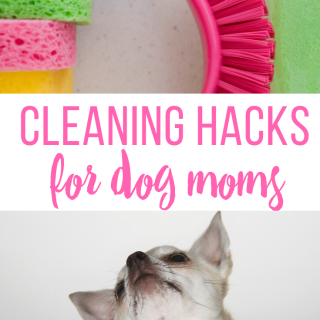 You dont want any of the glue particles to get ingested by your furry family members! 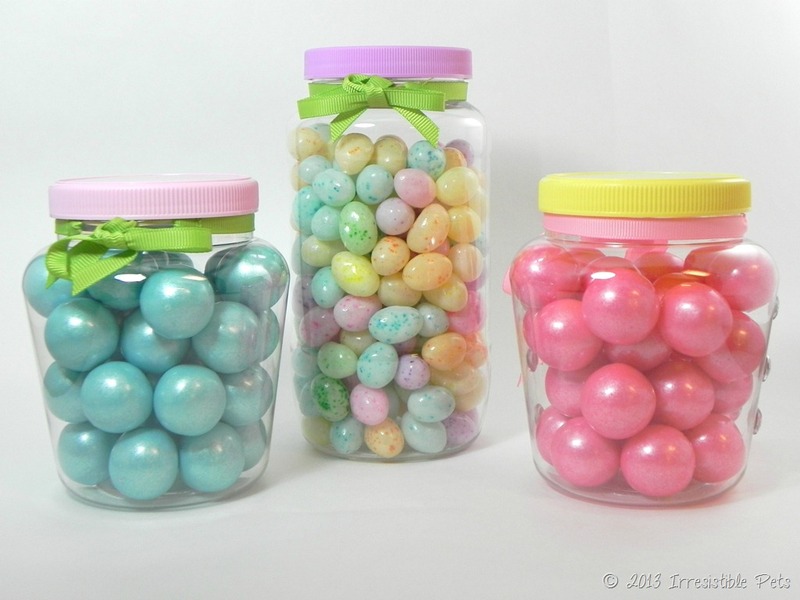 I originally was going to use mason jars for this part of the treat bar. BUT, I was browsing the Easter section in Target and spotted these plastic jars. 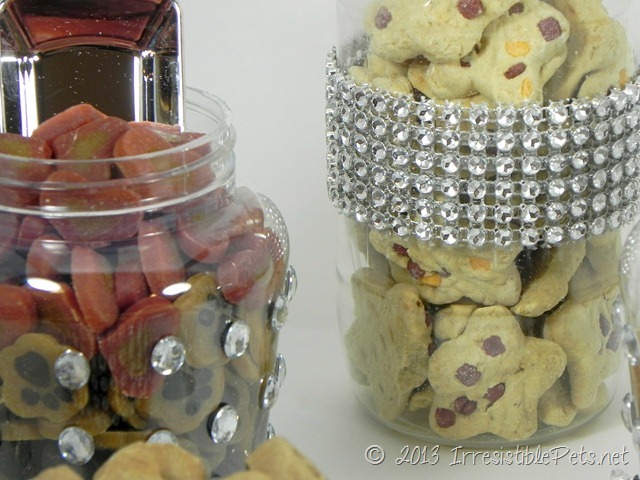 I thought I could use the candy for Easter baskets and use the jars for the doggie treat bar. Score! 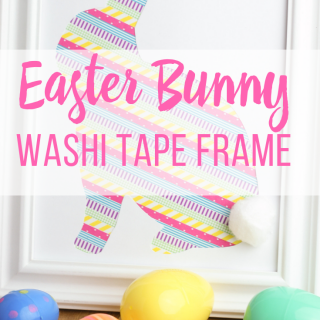 Just make sure you empty all human candy and thoroughly wash jars! 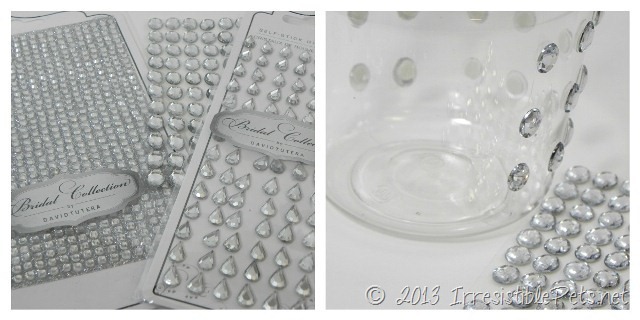 Once the jars are clean, apply the self-stick rhinestones in any pattern of your choice. 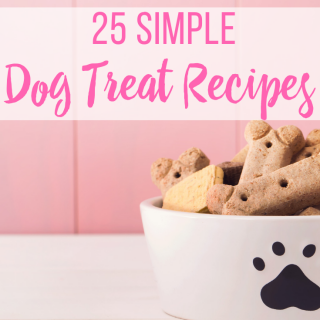 Fill with your dogs favorite treats! Add a David Tutera candy scoop for your guests. Thats it! Follow Darice Crafts to learn more about the David Tutera Bridal collection! 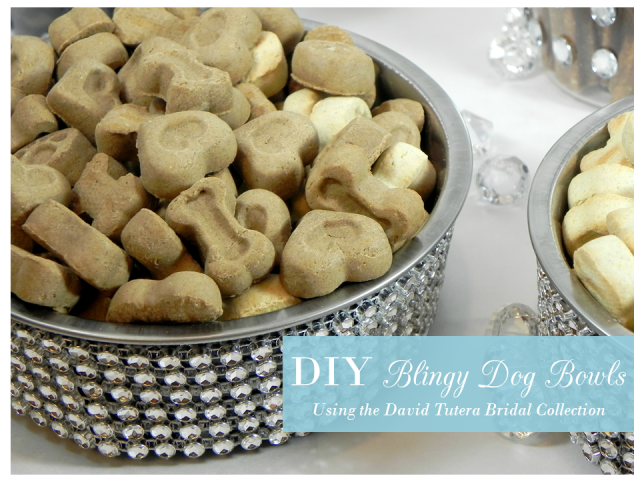 See more projects and ideas using the David Tutera Bridal Collection from these IRRESISTIBLE bloggers! 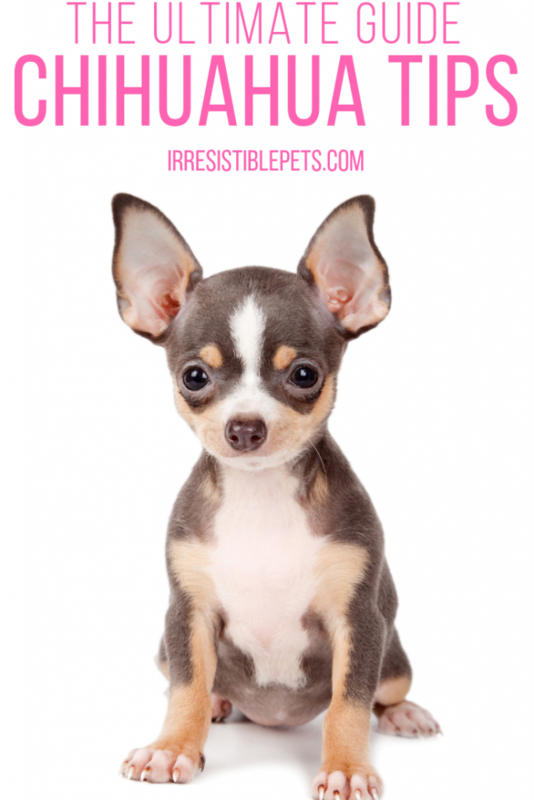 « Preppy Paws Mat Giveaway Winner! This is SO creative and looks fabulous! I love it. What a great idea for a dog friendly wedding in the park. Thanks Carissa! 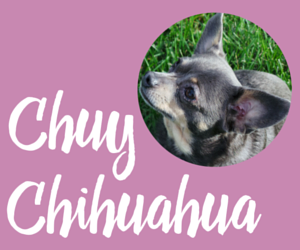 I wish I would’ve been able to include Chuy in our wedding! This is so cute! 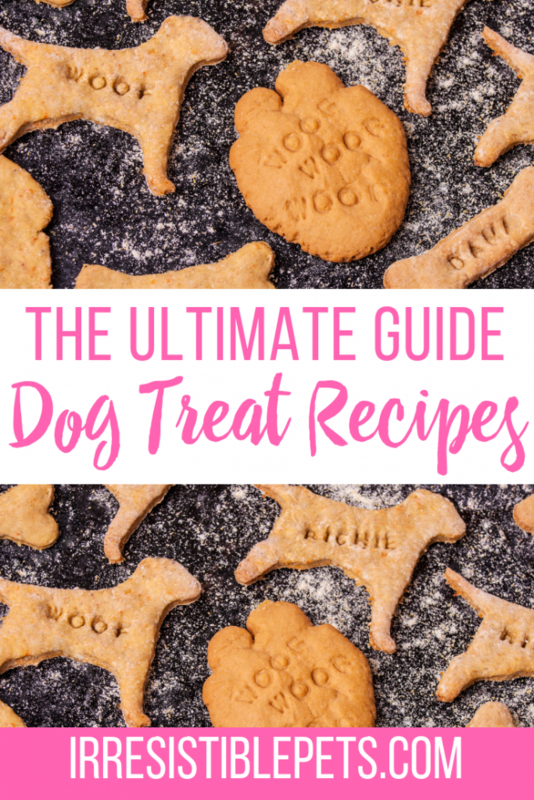 My dog would have loved to be included in my wedding…although she may have devoured the entire dessert bar in one slurp (she has no self control when it comes to treats). 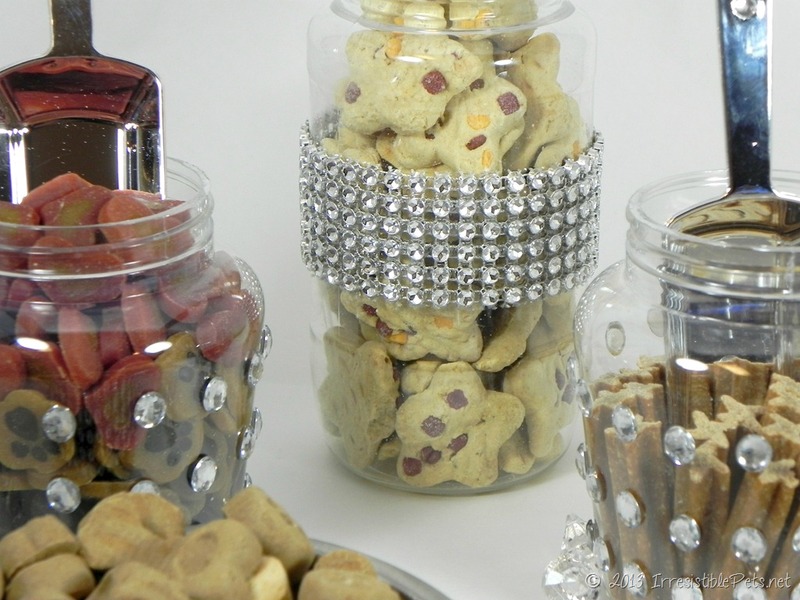 I’m going to bling out her biscuit jar for her so she can feel fancy every day! Thanks for the inspiration! Thanks! Chuy is the same way lol. I’m glad you were inspired! These are AMAZING! I would love to make some for my piggie (I have a pug).